Born March 8 1966 in Eindhoven, The Netherlands. Only 7 years old, yet I had the whish to become a professional flamenco guitarist. However, there was nobody who could help me understand the secrets of this art. My father taught me some Spanish melodies and harmonies, and sent me for lessons to an allround music teacher when I was 8 years old. At his turn, one year later his teacher sent me to the Eindhoven School of Music to continue my studies. Yet no flamenco, but indeed a preparing for Conservatory studies in classical music. At the School of Music I experienced that there was little understanding towards flamenco music. 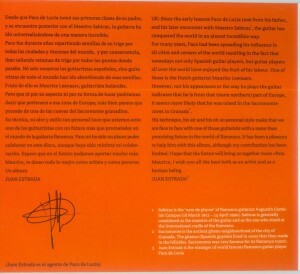 Besides, I was told not having been born into a flamenco family, so my chances to success were considered as almost none. I gave up, and began dedicating myself with heart and soul to the classical repertoire. In 1989 I graduated from the Tilburg Conservatory of Music and Dance as one of the most excellent students. In 1988, a hitch-hike to Spain forced a re-encounter with flamenco music. 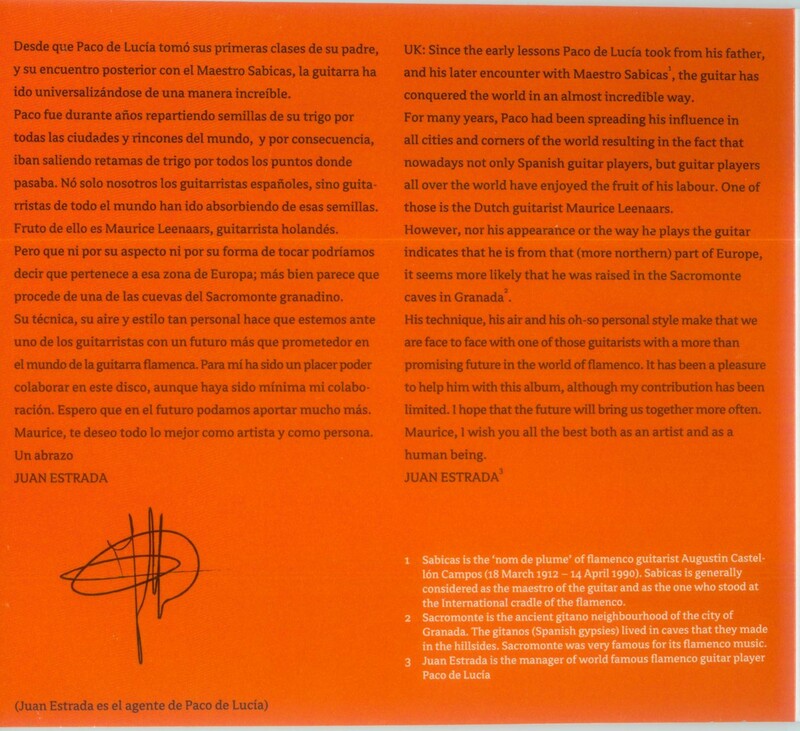 But still believing what was told me in my childhood, I began experimenting with flamenco techniques and interpretations in mainly contemporary and Latin-American repertoire. During my year of graduation at the Conservatory, I finally felt the urge to investigate the secrets of flamenco. I whished doing so as an autodidact, relying on the many years that I had listened to that music since I was a little boy. At the same time I began composing my own flamenco themes. After my graduation I thus had achieved some elementary skills and knowledge, and three weeks later I moved to Sevilla to stay an entire year (1989-1990). I played with anyone possible who considered himself a singer, gipsies as well as civilians. That period was and still is of great influence on my artistic and personal development. My most essential aspects are composing and improvising.